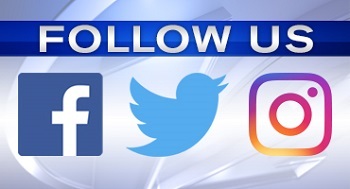 In addition to watching Eyewitness News and making WPRI.com your go-to for local news and weather, the best way to ensure that you are fully in the know on breaking news, severe weather, health & safety, and closings or delay notices that impact you is to subscribe to our email news, mobile text alerts, Pinpoint Closing Network alerts, and mobile app push notifications. Sign up now, right here! Text HELP for help. Text STOP to cancel. Message & data rates may apply. Consent is not a condition of purchase. Autodialed marketing messages will be sent to the number provided on this form. Is there a fee for WPRI SMS Alerts? WPRI.com does not charge for this service. However, message & data rates may apply from your mobile provider. Check with your mobile provider for charges and plans. For school, business, municipal closings, delays, and notices SMS alerts (powered by RIBA) fill out the Closings & Delays alerts signup form below. Select any or all of the schools, daycare, businesses, health services, and municipal parking bans that you'd like to receive email or SMS text alerts on.